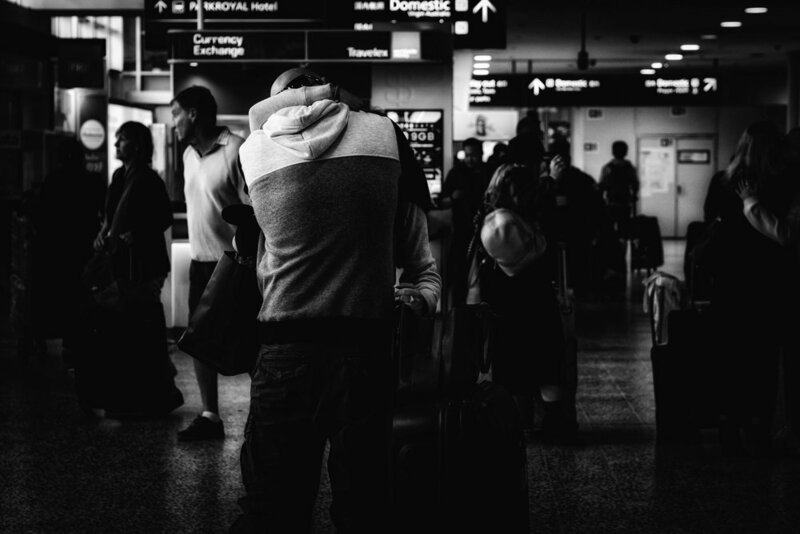 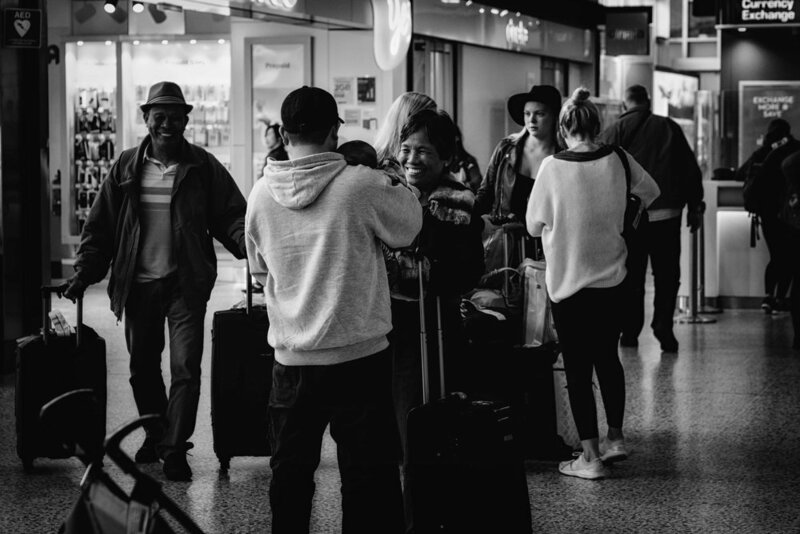 Tens of thousands of people pass through the arrivals gate at the airport everyday – but for most of us, we only have our eyes on one or a few. 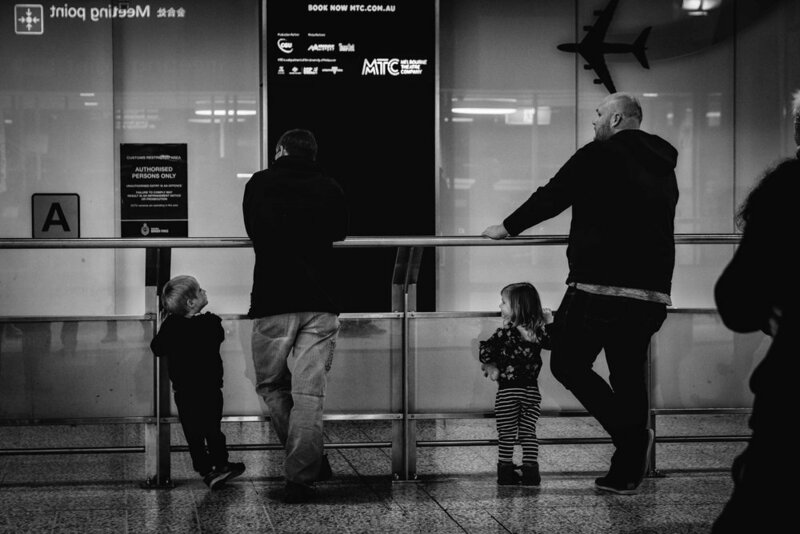 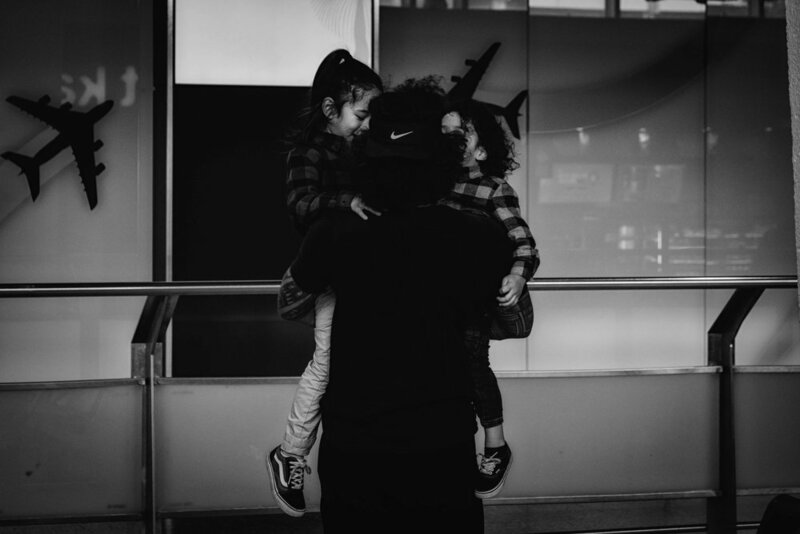 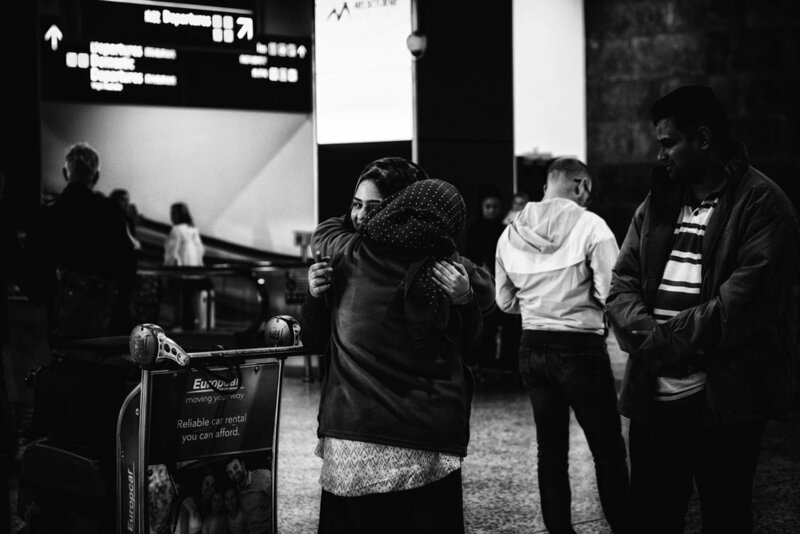 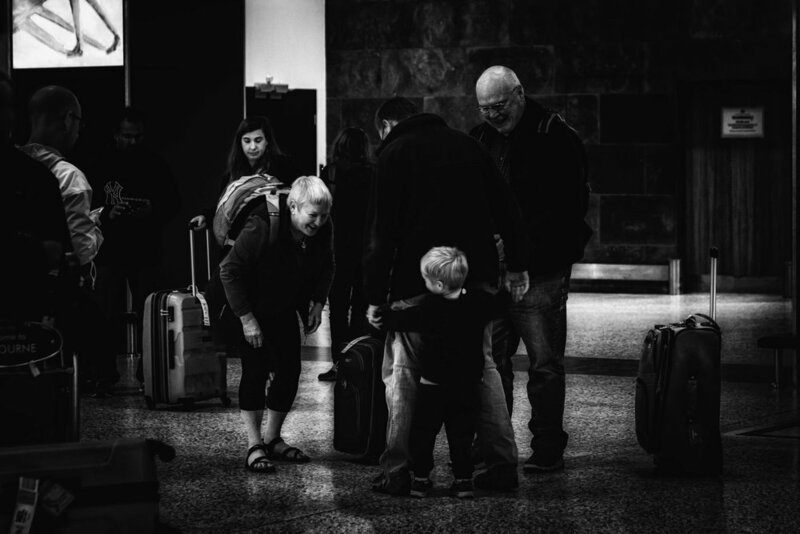 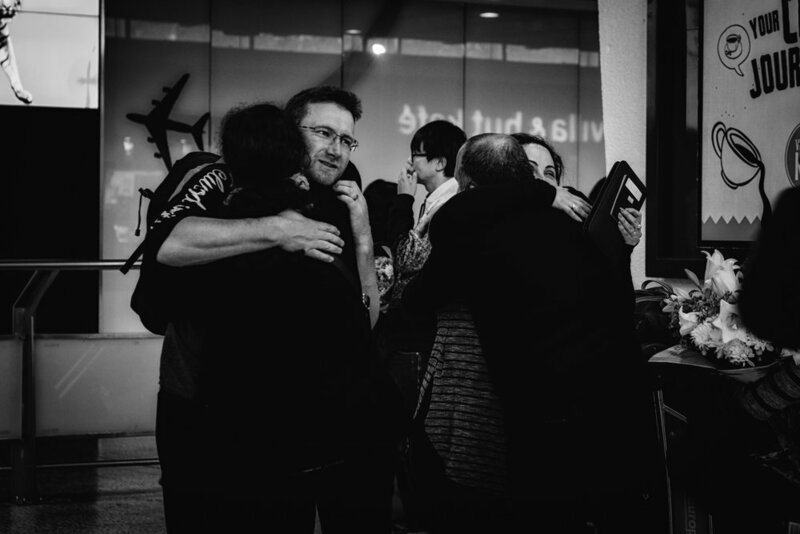 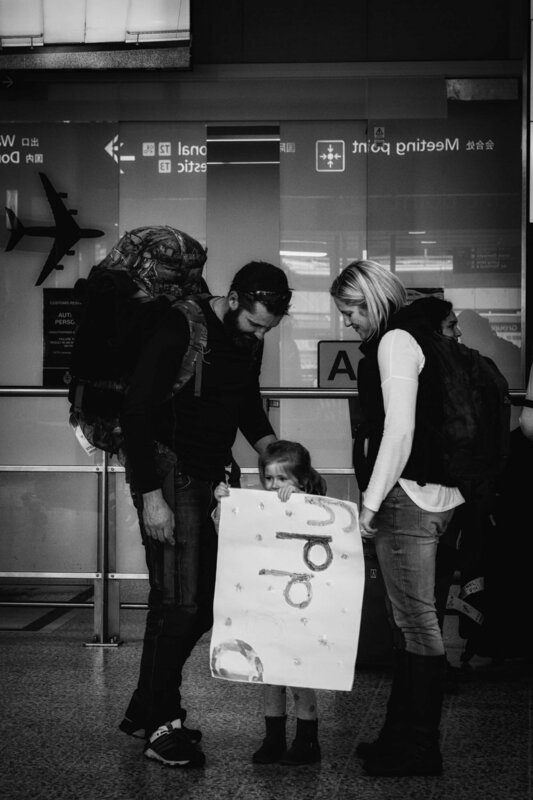 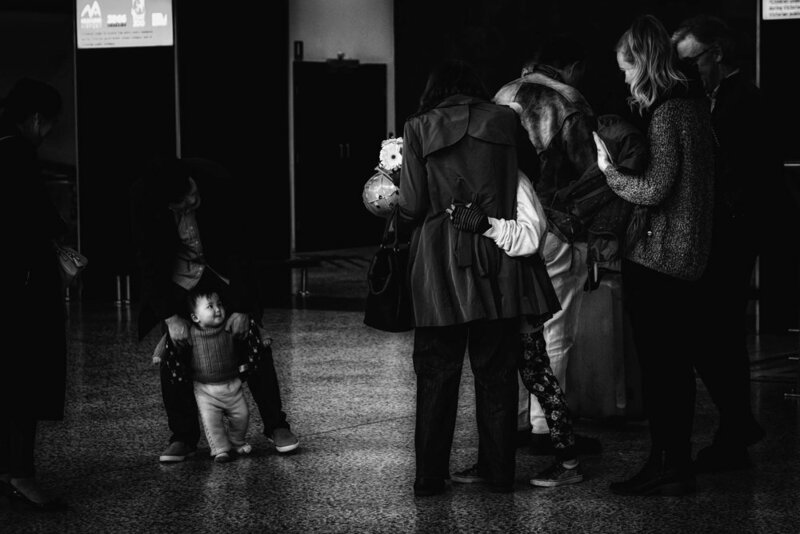 Taken at the Melbourne Airport international arrivals hall, I took these images with the intention of depicting and conveying the raw blueprint of the most genuine and honest emotion we as humans experience – love. 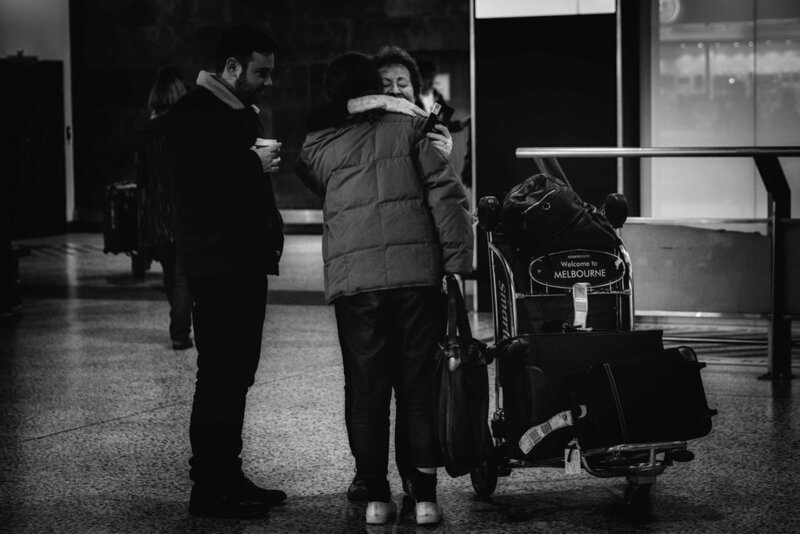 With so many intimate, moving moments, I often found myself with tears in my eyes, or a silly smile on my face capturing them. 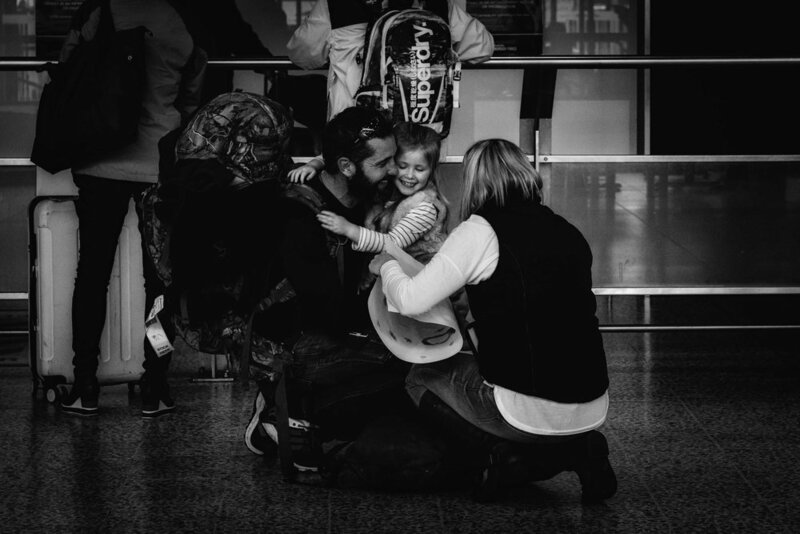 Countless hours of hardship and longing for each other – it all ends when they walk out of that gate. 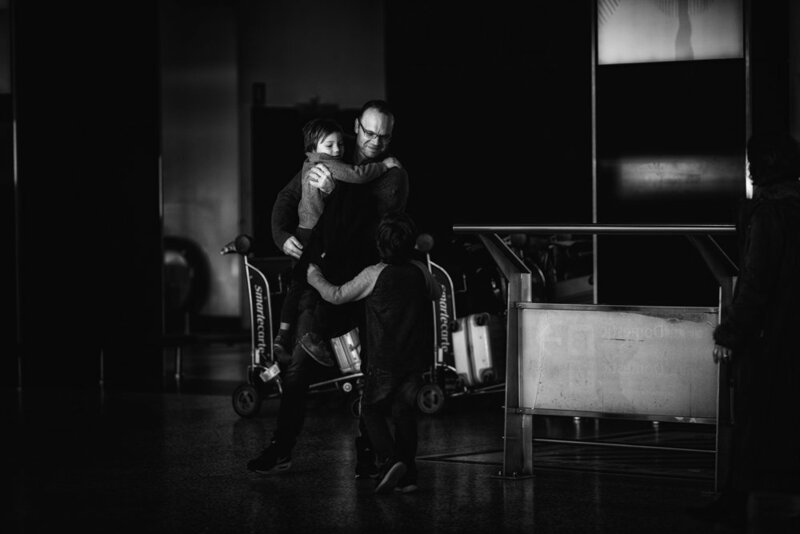 It is the moment when you realise that life would be meaningless without them, and that they are your lighthouse for our tempestuous souls. 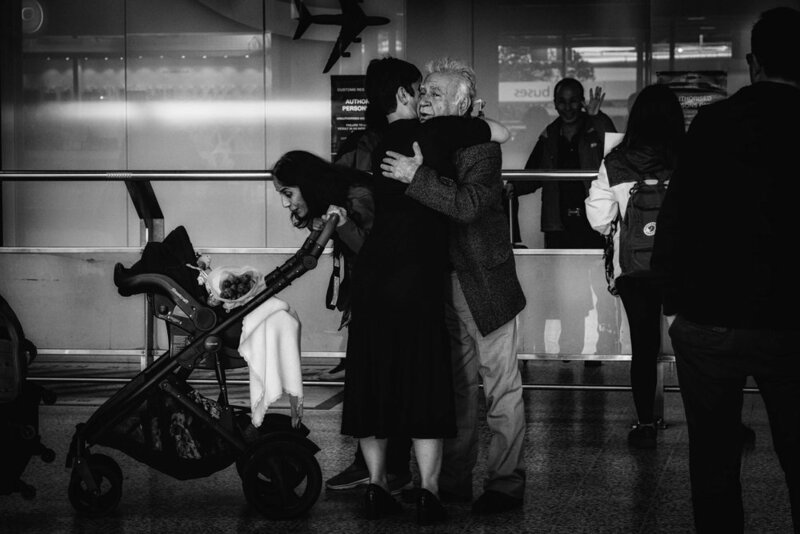 We only allow ourselves to be vulnerable to the people we truly trust and love – and in those images, everyone is at their most vulnerable. 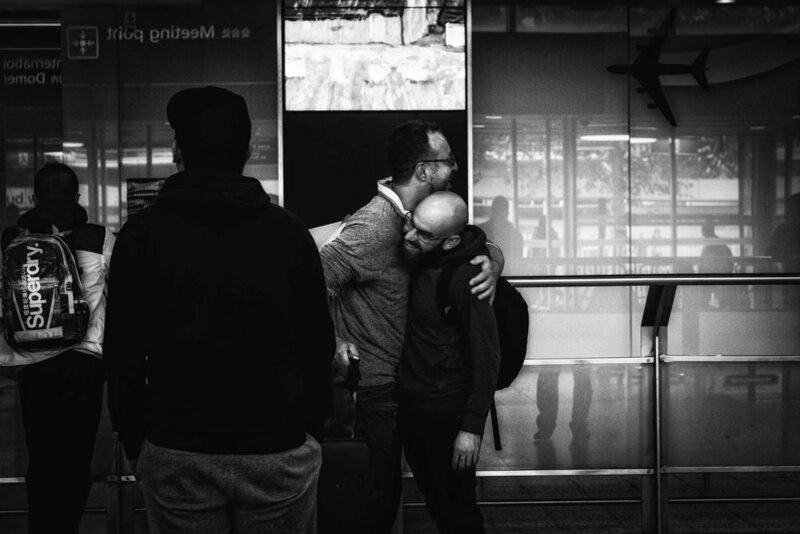 There were various dynamics and personalities at play, some are shy and reticent, while others are more buoyant and effusive, no matter who we are, and what culture we are from, one thing is constant – and that is love. 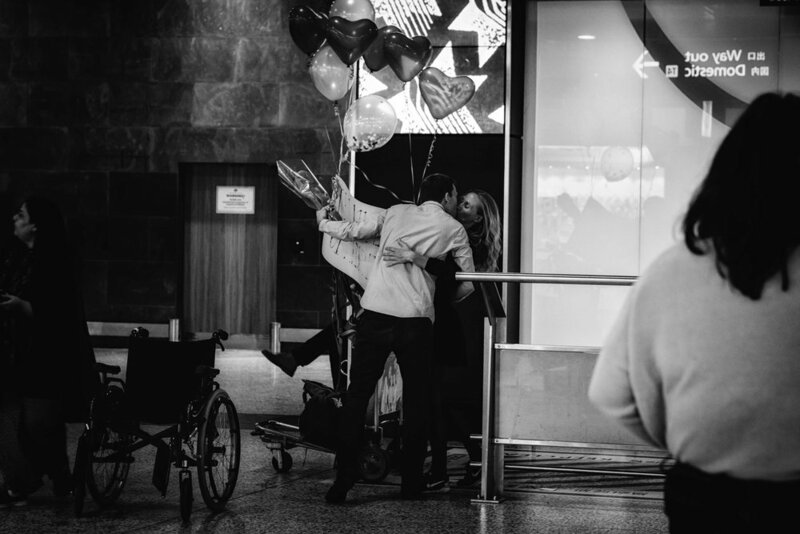 At the airport, I understood that true love isn’t spoken, it is felt and portrayed in that embrace, that kiss, that look in each other’s eyes. 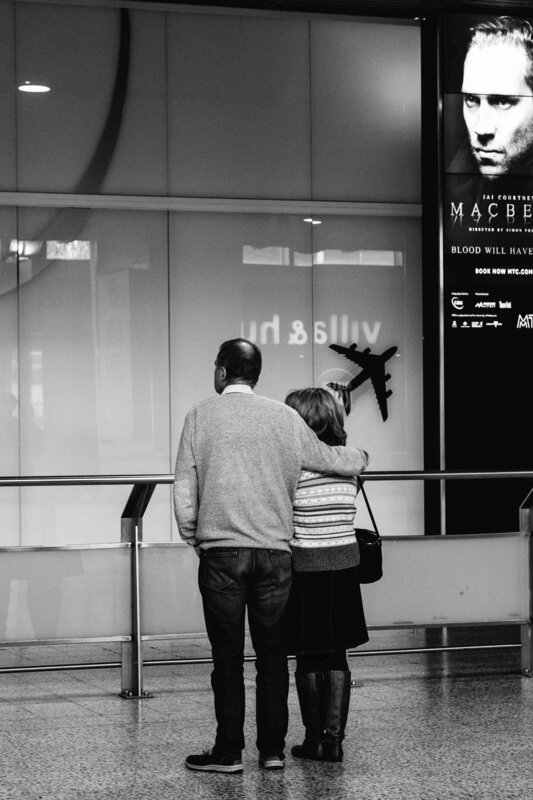 Love is both tender and strong, and after witnessing such moments, I believe that yes, love may conquer all.